Seattle Central’s Wood Technology Center teamed up with Architect Joe Giampietro (below) to build one of the first Passive Houses in Washington State two years ago and continues contributing to the sustainable housing movement today. The concept behind passive housing is maximum energy efficiency. An annual electricity bill for a passive house may be only $30-$50. This standard is accomplished by creating an airtight home with super insulated walls, passive heat sources, superior windows, and heat recovery ventilation. 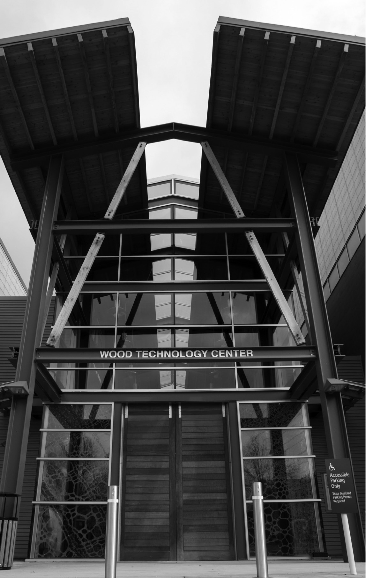 The Wood Technology Center’s house, affectionately named “Mini B.,” was built by Professor Frank Mestemacher and a group of Seattle Central Carpentry students working in the program. Mini B had regular 2×4 stick framing, similar to houses in the 1800’s, but the studs were spaced further apart to reduce thermal bridging. 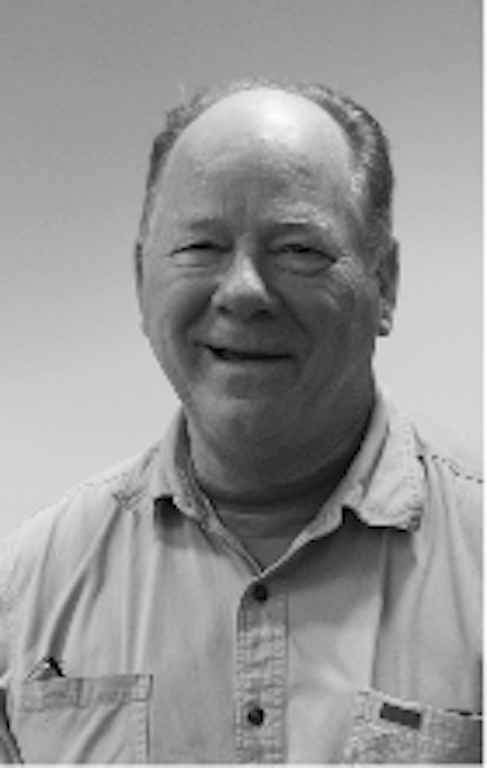 “Every time you have a stud there’s less thermal resistance. Imagine taking all the studs in a wall and pushing them together,” Mestemacher illustrated by pushing his hands together. “You’ve got essentially a two foot space of studs. We cut that in half to double the insulation, increasing the energy efficiency.” Fourteen-inch thick walls didn’t hurt either. Another mechanism for trapping heat is a good set of windows and doors. Standard aluminum windows have condensation on the inside of the house because of the rapid transfer of hot and cold air. Wood and fiberglass do not transfer hot and cold as easily and, because fiberglass and glass expand at the same rate, they do not create movement that can break a seal. Once you have your high quality insulation, windows, and doors installed, an HVAC system becomes unnecessary. LED lights save on power and just one 300-watt light bulb can heat the entire house while a small fan circulates fresh air while simultaneously heating it. Two years later, Seattle Central is still pushing sustainability all the time, and over 14 sustainable houses have been built in Washington state. Seattle Central hopes to oversee the construction of another Passive House this coming fall. Another aspect of sustainability will be introduced to the department in September: re-models. Instead of bulldozing an entire building, the plaster and siding can be stripped away and the bones built upon once more.